Detail : Paul's twenty-sixth solo single. 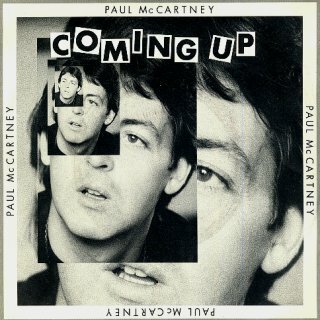 Recorded during solo sessions of the summer of 1979, the A-side appeared one month later on "McCartney II". 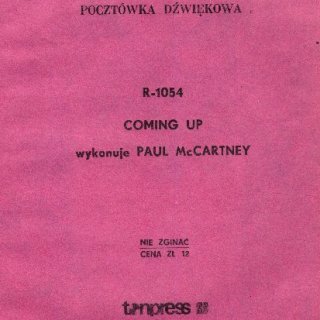 Probably the most memorable thing about the release was the stunning video that Paul made to promote the song on television. Recorded on 26th/27th March 1980, film-maker Keef McMillan used a new computerised desk to have Paul appear as ten people AT THE SAME TIME. A band that Paul cleverly dubbed "The Plastic Macs". Paul imitated the looks of, Buddy Holly, Frank Zappa, Ron Mael, Andy Mackay, Ginger Baker (looking more like "Animal" of The Muppets !) and even a 1964 Beatle version of himself ! Linda also appeared in two guises making "The Plastic Macs" a 12-piece band. 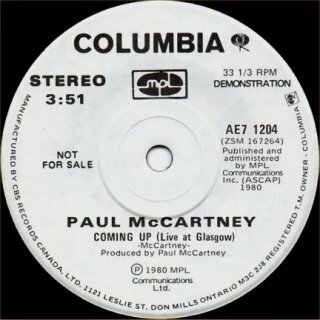 "Coming Up" on the B-side was recorded live on December 17th 1979 at the Glasgow Apollo with the last Wings line-up. 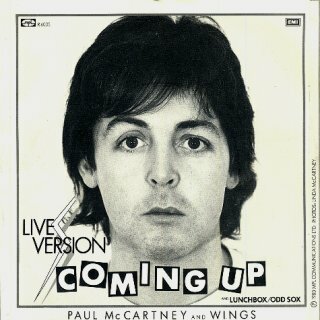 The second track, "Lunchbox/Odd Sox" was recorded in L.A. in February 1975 during the Venus And Mars sessions, and featured the earlier "Mark V" version of "Wings". The single was released in a picture sleeve, once again on an original Parlophone label. I also have a promo one-sided 7" single, that appears to be manufactured in Canada (see below) ... but this only has the live version on it. ! 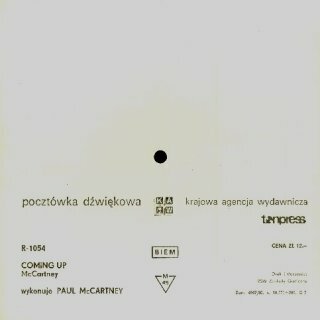 Plus, I have a very interesting one-sided CARDBOARD picture disc postcard-style single of "Coming Up" originating from Poland (see further below). 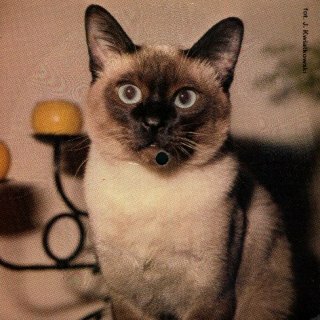 For some odd reason though, this has a cat as the picture and NOT Paul (??) ... notice the spindle hole in the centre !